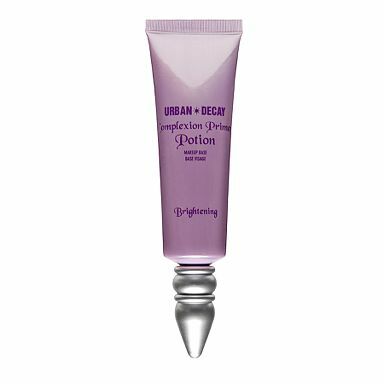 One of my all time favourite cosmetics items is Urban Decay's Eyeshadow Primer Potion which gives staying power to even the cheapest eyeshadows so when I heard that Urban Decay also have a foundation primer, Brightening Complexion Primer Potion, I was keen to try it albeit with high expectations. Luckily, Brightening Complexion Primer Potion didn't disappoint. The gel-cream formula applied smoothly and my makeup stayed in place all night long. If I were to be picky, I'd say that the primer feels rather synthetic with a scent which reminds me of the way mascara smells, although that's a little unfair of me as you'd be hard pressed to find a primer which isn't packed with silicone (Korres offer one). The packaging hints at the original "genie-us in a bottle" Eyeshadow Primer Potion yet has improved functionality, being presented in a tube. Whilst £18 for 30ml isn't cheap, it's certainly comparable to other primers and I'd definitely recommend this. Thumbs up! Have you tried emerginC's red carpet primer yet? would love to hear your opinion. I have yet to find a better one.